With well over 10 million downloads in the Google Play, Allo is one of the most popular Android apps recently released by the search giant. More importantly, Google Allo has been improved in the last couple of months through the addition of many new features. The most recent update released by Google is a small one but brings an interesting tweak that's been introduced by many instant messengers lately. 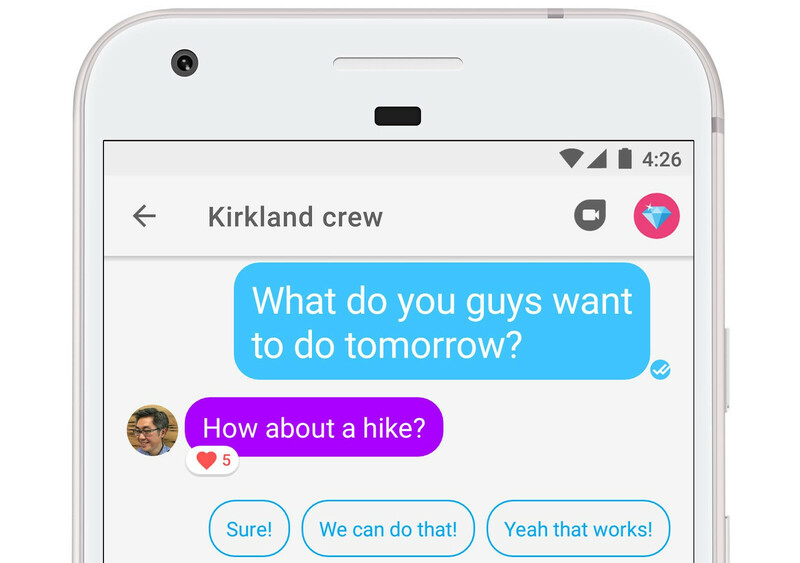 With the new update, Google Allo users gain the option to react to messages in chat, which works in the same way that Facebook's Messenger or Microsoft's Skype work. According to Amit Fulay, Head of Product, Google Allo, those using the latest version of the application can now tap the heart icon that now appears below each message they receive, whenever they want to react to it. The new option is available in group chats as well, so expect to see more than one reaction to a message if more members of the conversation group decide to react to it. Obviously, the ability to react to messages is definitely not original, but it's good to know that Google is keeping its apps on the same level of functionality as the competition. Hold on... so i still have to convince people to download this, sms is still a basis. Actually, Kakao Talk did it first.